Diluted bitumen — the blend of thick Canadian crude that would be shipped by the proposed Keystone XL pipeline — is no riskier to transport than other types of crude oil, a new study has found, a conclusion that came under sharp attack by environmentalists. Study debunks Enbridge claims that oil sands crude spill is standard clean-up. France’s Total SA says current market conditions favour processing oil sands crude on the U.S. Gulf Coast rather than building an $11.6-billion upgrader in Alberta, as the company took a $1.65-billion (U.S.) loss on its 49-per-cent stake in the cancelled Voyageur project. HOUSTON — The cherry-red crane looms emphatically over the grey industrial landscape of the Houston shipping channel where a refinery processes crude oil into gasoline, diesel and other petroleum products. The State Department’s latest environmental assessment of the controversial Keystone XL oil pipeline makes no recommendation about whether President Obama should approve it. Here is ours. He should say no, and for one overriding reason: A president who has repeatedly identified climate change as one of humanity’s most pressing dangers cannot in good conscience approve a project that — even by the State Department’s most cautious calculations — can only add to the problem. EDMONTON - The Alberta government blames the “bitumen bubble” for the province’s current fiscal woes, but oil industry players have been warning about the phenomenon for more than a decade.A review of historical markets shows the gap between what Alberta oil sells for and the benchmark price for West Texas Intermediate has repeatedly hit $35 in the past two years. Four dozen environmental activists succeeded in getting themselves arrested outside the White House on Wednesday afternoon to draw attention to their demand that President Obama reject construction of the Keystone XL oil pipeline from Canada. The price oil sands producers receive fell to crushing $49.80 a barrel below the international benchmark after a widening to $33 of the spread between the price of Western Canada Select – a blend of heavy oil sands crude and conventional oil – and US crude on Tuesday. 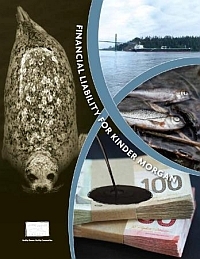 This new report, Financial Liability for Kinder Morgan, analyses the insurance available to pay for oil spill response costs and damages caused by a potential marine-based oil spill resulting from the proposed Kinder Morgan Trans Mountain pipeline.The report was co-authored by the Living Oceans Society, Georgia Strait Alliance, West Coast Environmental Law and the Wilderness Committee, and addresses the fact that Kinder Morgan’s new Trans Mountain Pipeline proposal represents an exponential increase in the risk of a major marine-based oil spill affecting the Salish Sea’s most populous region—including the Cities of Vancouver and Victoria and the Southern Gulf Islands. HOUSTON — A Texas judge has ordered TransCanada to temporarily halt work on a private property where it is building part of an oil pipeline designed to carry tar sands oil from Canada to the Gulf Coast, the latest legal battle to plague a project that has encountered numerous obstacles nationwide. The Enbridge Northern Gateway proposal to ship oilsands bitumen from Kitimat along the B.C. coast carries an unacceptable risk of a significant spill, according to an independent analysis by three professional engineers. ANN ARBOR, Mich. — Katy Bodenmiller was worried about the proposed pipeline work near her house in Groveland Township, Mich., so she started looking for help. VANCOUVER, CALGARY, OTTAWA AND VANCOUVER — He has no backers, partners or investors. VANCOUVER, BRITISH COLUMBIA - A refinery in Kitimat is the latest attempt to build support for the Northern Gateway pipeline that has been fiercely opposed by First Nations, communities, and people across BC. 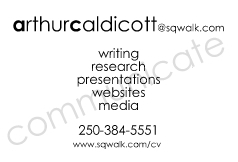 Kitimat Clean, a fledgling BC company whose website went live just this morning, has proposed a refinery that might possibly be built sometime in the future, but only if the Enbridge Northern gateway pipeline is approved now.